Spine chilling Mystery from Amazon Bestselling Author Willow Rose. The body of a woman found in front of Nordby City Hall has a message for Emma Frost carved into the skin. Behind this ruthless murder stands a ghostly figure that likes to play childish games. Soon, this killer brings a reign of terror to the small Danish Island and especially to the life of Emma Frost. While Emma's personal life is in a mess, she also has to hunt down a cruel predator who seems to be targeting people with serious mental illnesses. 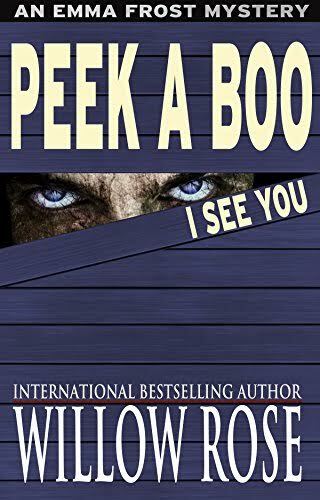 PEEK-A-BOO, I See You is yet another spine-chilling Scandinavian mystery from the International Bestselling author Willow Rose. It is the fifth novel in her Emma Frost-series.